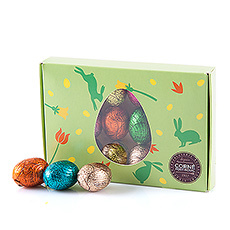 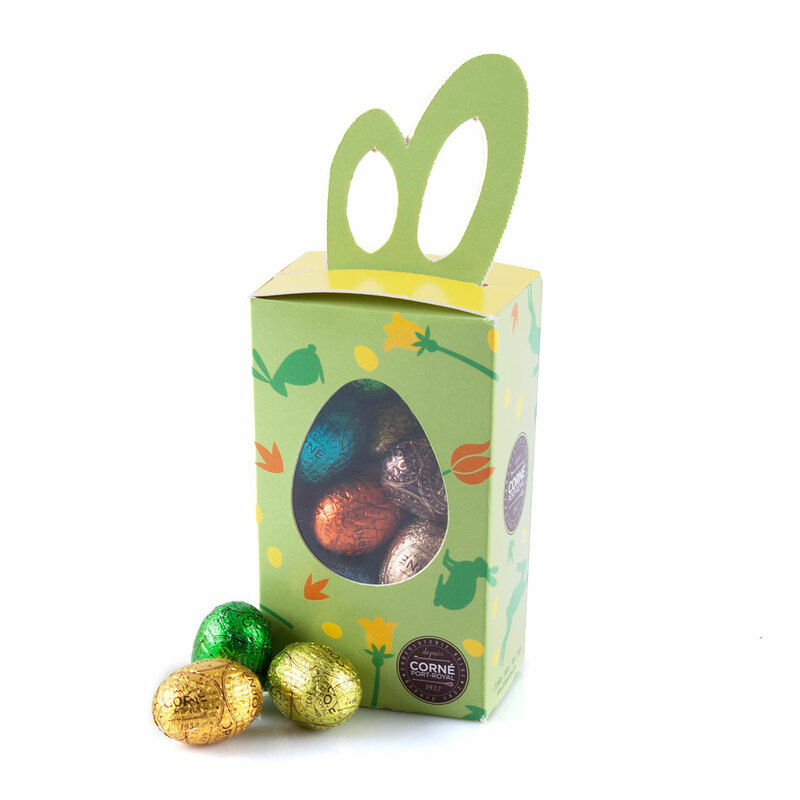 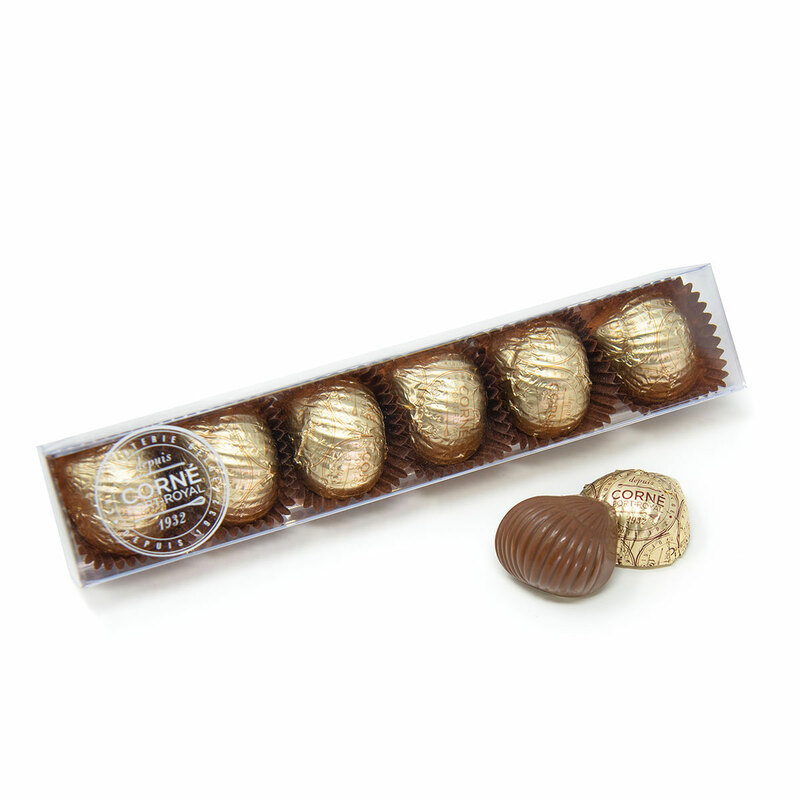 Springtime is a wonderful season that invites us to enjoy chocolate Easter eggs and other delicious chocolate creations. 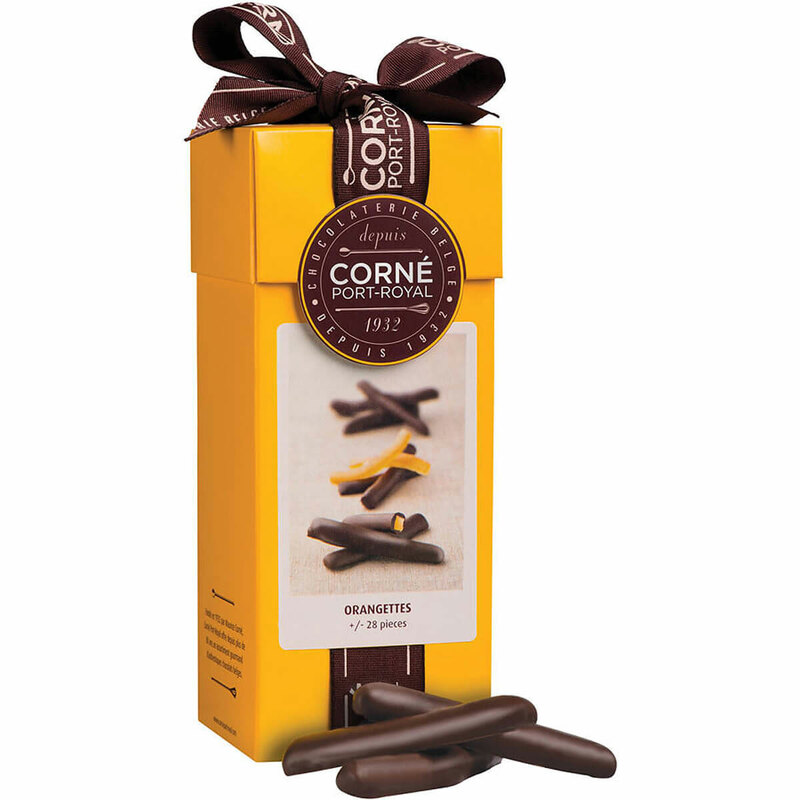 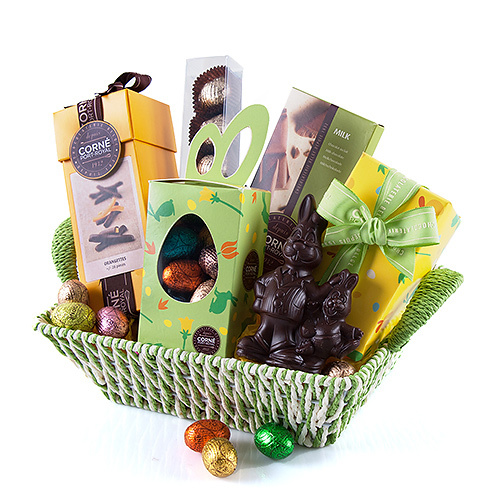 Let Corné Port-Royal spoil your loved ones this year with a beautiful gift basket with Easter eggs, a chocolate Easter bunny, pralines, Orangettes, and more. 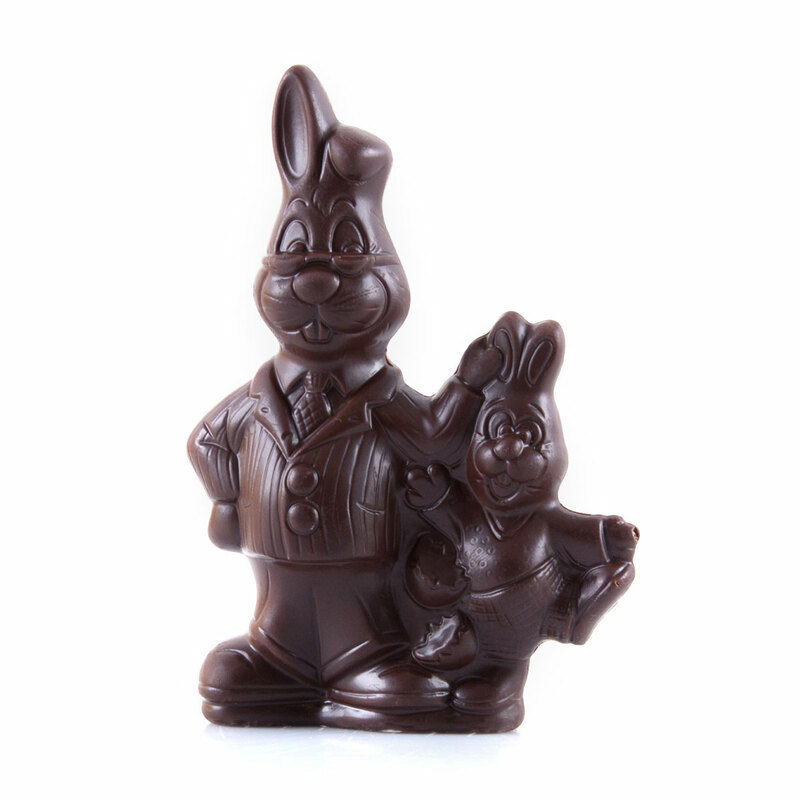 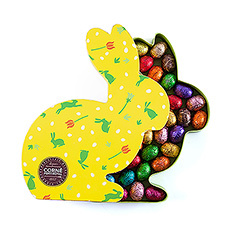 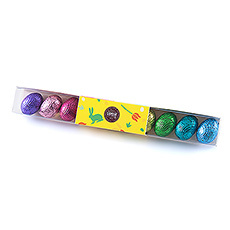 Treat friends, family, and yourself to the fantastic Easter collection 2019 from Corné Port-Royal: the hopping Easter bunnies, colorful Easter eggs and fresh floral motifs will bring a smile to their faces. 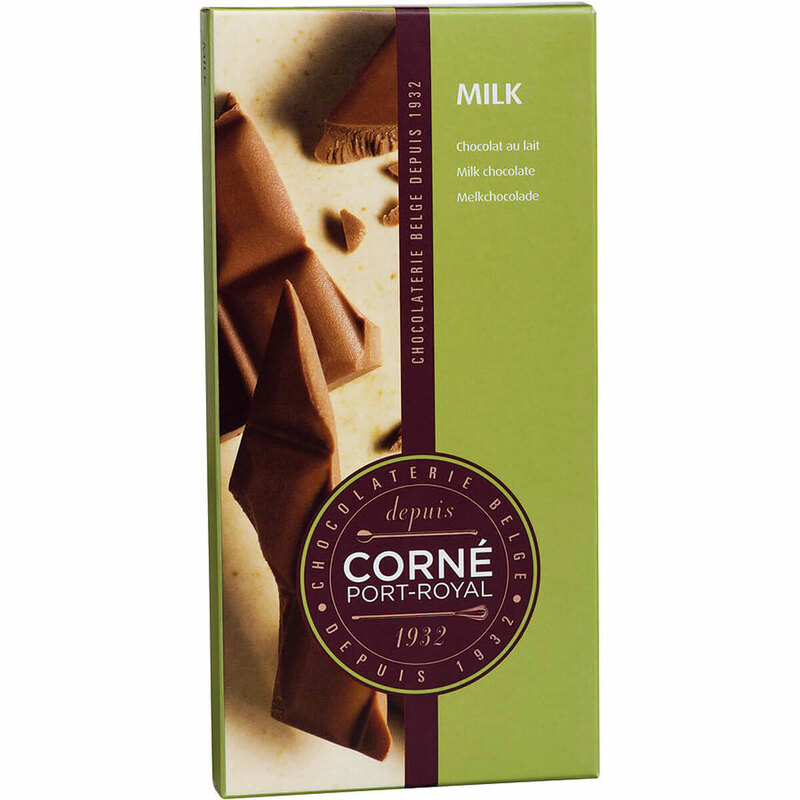 Ingredients: Sugar, cocoa mass, whole milk powder, cocoa butter, roasted hazelnuts, glucose syrup, caramel, butter oil (contains milk), roasted almonds (tree nuts), skimmed cocoa powder, flavours, invert sugar, emulsifier: soy lecithin, sunflower oil, coconut oil, shea butter, candy syrup, cream (contains milk), wheat-flour, rice flour, palm oil, palm kernel oil, caramelised coconut (coconut, sugar), water, stabilizer: glycerol of rapeseed, butter (contains milk), salt, apricot, enzyme: invertase, caramel (caramelized sugar), corn starch, milk sugar, milkprotein, raising agent: sodium bicarbonate, malted barley flour, acid (citric acid), corn flour.